I’ve been to quite a few chocolate museums around the world. Each one is different and worthwhile in its own way. The Choco-Story Mexico location at Uxmal is really fantastic in that it brings to life the Mayan culture and the ancient Mayans’ reverence for cacao as being a sacred food. The photo above shows some of the artwork you will see at Choco-Story Uxmal. The photo below sets the mystical mood and transposes visitors into this ancient culture’s relationship with cacao and the importance of cocoa culture to the Mayan people. We enjoyed the Mayan ceremony at the CHOCO-story museum in Uxmal, Mexico that paid tribute to cacao. We spent the better part of a day exploring the historic chocolate-making equipment and paraphernalia on-site, enjoying the eco-park and the featured flora and fauna, watching the re-enactment of the Mayan ceremony celebrating the magic of cacao, shopping in the chocolate and gift shop, and taking part in some of the hands-on classes the Choco-Story Museum at Uxmal has to offer. Every chocolate lover who visits Mérida or Uxmal should make their way to the Choco-Story Museum to gain a greater understanding of the world of chocolate and Mexico’s deep connection to it. The Choco-Story Museum and Eco-Park in Uxmal is a must for any chocolate lover to the Yucatan region of Mexico. 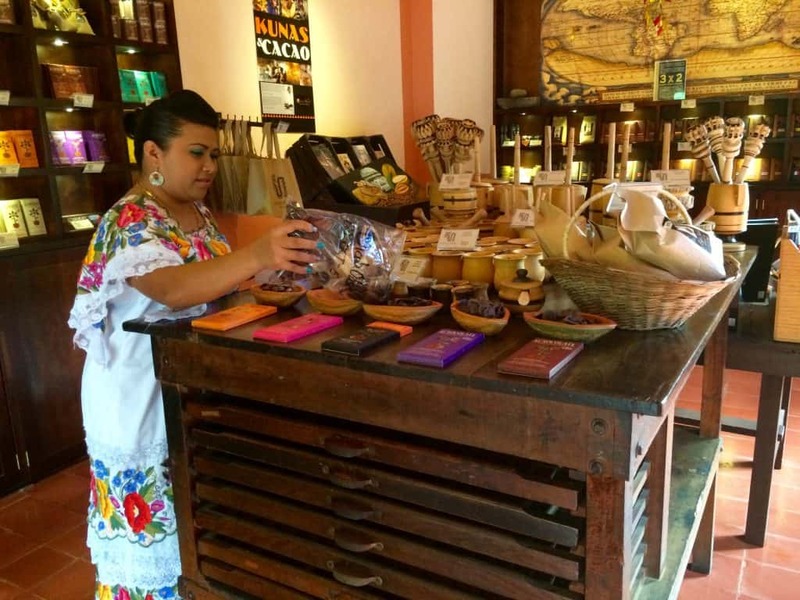 The chocolate and gift shop at Choco-Story in Uxmal carries the Choco-Story line of chocolate bars in addition to the ki’XOCOLATL brand of chocolate that I wrote about in this post. 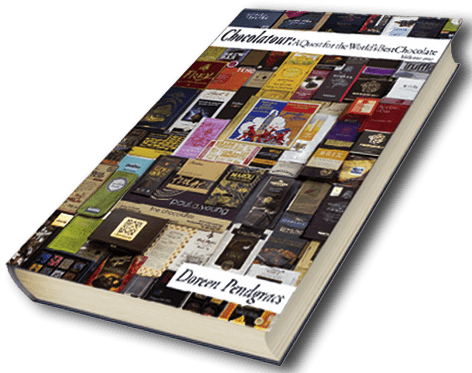 You’ll also find some nice t-shirts and books and videos about the world of chocolate. I even tried snorting chocolate here via the Chocolate Shooter kit! We also learned how important European culture was to the development of the modern form of chocolate we have come to know and love. 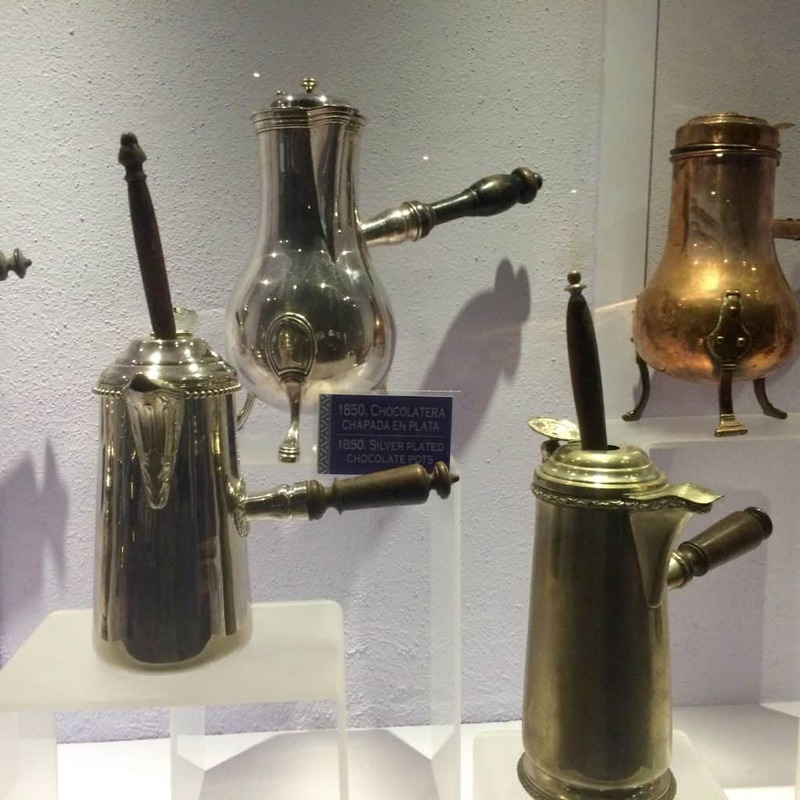 This exhibit at Choco-Story in Uxmal shows some of the chocolate pots used in Europe circa 1850 to enjoy hot chocolate. 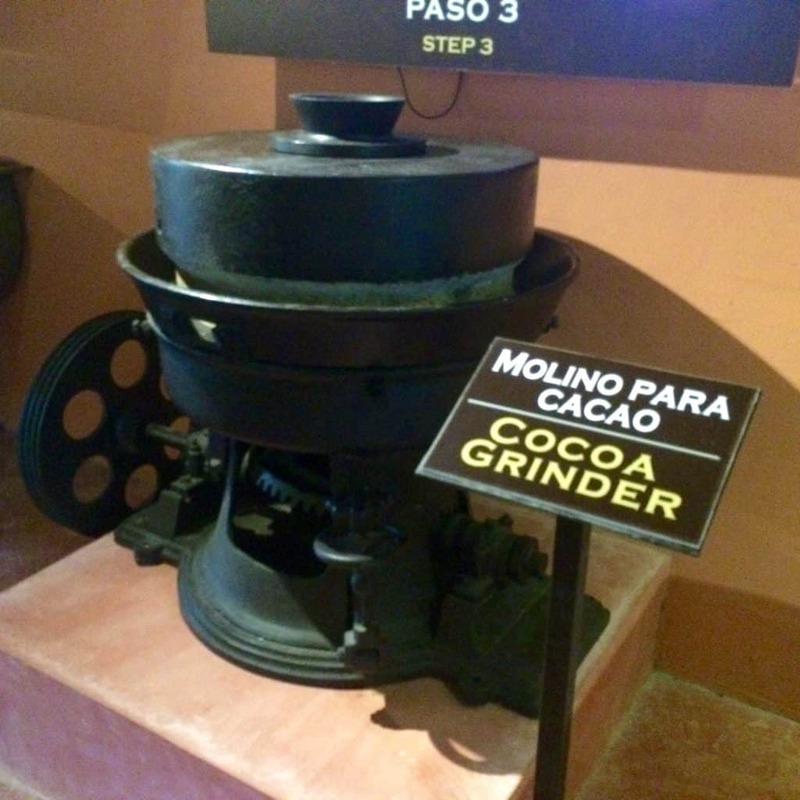 The Choco-Story Museum at Uxmal has a good assortment of 19th century chocolate making equipment. Have you been to any of the Choco-Story Museums? In addition to Uxmal, they have locations in Brugges and Brussels, Belgium, as well as Paris and Prague. If you like this post, remember to pin it! Sharing is caring. Yummie! Now this is a museum my wife would like! Yes, I’m not that big on traditional museums either, but a chocolate museum and eco-park is something I can relate to on all levels. 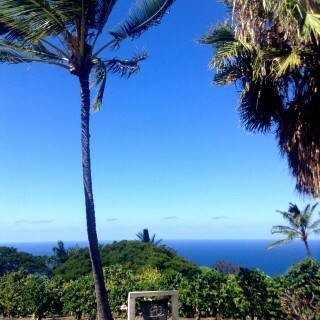 Thx for sharing your thoughts, and be sure to tell your wife about the Choco-Story Museums. I’ve not been to any of the Choc-Story museums, but since they have various museums in so many cities I know I’ll keep it in mind on future travels. I was in Zurich on a Sunday and everything was pretty much closed except for the stores at the train station. I still mangaged to experience some Swiss chocolate though. Right on, Jeri! Zurich is a terrific city with so many chocolate options to experience. I will be there next month. 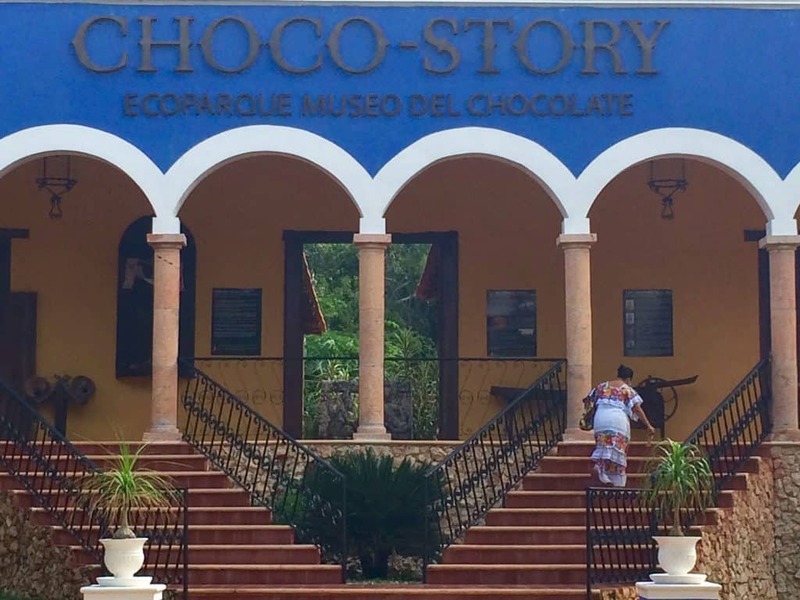 I will look forward to visiting more Choco-Story Museums, for if they are as comprehensive and intriguing as the Uxmal location, they will be well worthwhile. Thx for sharing your thoughts. I have never been to any Choc-Story museum, would like to visit them someday. Sushmita recently posted…You are who you are! Hi Sushmita. I’ve enjoyed every chocolate museum I have been to, but the Choco-Story Museum at Uxmal really is amazing on a number of levels. I’d love to visit the one in Brugges to compare. I know that Choco-Story took over the Musee of Chocolate & Cacao in Brussels and it is a great facility. Thanks for showcasing this little gem that we missed (we were so close, but were waiting for a bus that we were unsure would arrive)! Hi Chris. So sorry you missed the Choco-Story Museum at Uxmal. We were fortunate in that we were staying next door to it and across the street from the ruins so it was all at our finger tips! The Choc-Story Museum looks like something I would really enjoy. 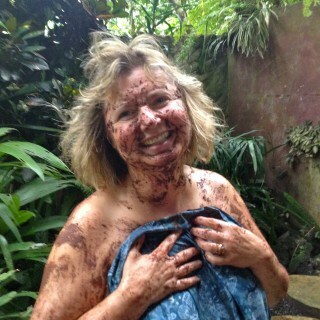 The Mayan relationship with chocolate would be particularly interesting. Hi Donna and thx for stopping by. 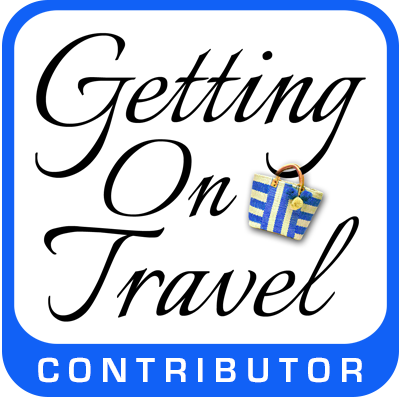 Yes, I have found destinations with the Mayan connection to be of particular interest and fascination. Seems interesting. I think if we are in the area we would look into visiting. Thanks for sharing. Am amazed at the amount of chocolate museums there are in the world. Love the pictures from the one at Uxmal. Reacted when I saw the chocolate pots and thought, hang on those are not Mexican. And as the caption says they are European. 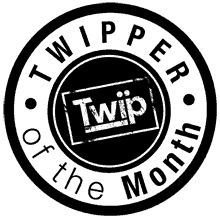 Hi Catarina and thanks for your comment. Yes, the founder of the Choco-Story museums is from Belgium, so he has quite a bit of European artifacts in his collections. I’ve never been to a chocolate museum. Sounds like fun. Question: did the museum smell like chocolate? Believe it or not, Some places pipe smells into their air filtration systems to enhance the experience. Hi Sabrina. No, there was not a small of chocolate at this facility as they don’t make chocolate on-site. But I have indeed visited many chocolate shops and attractions where the smell of chocolate is intoxicating! 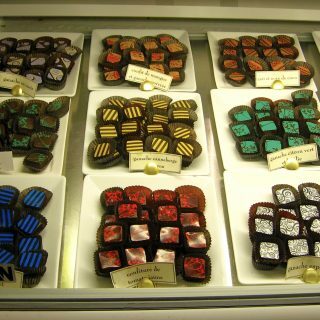 My favourite that comes to mind is Paul A. Young’s shop in Camden (London), England. I’ve never even seen a chocolate museum, much less been to one. I surely won’t pass it by, if one shows up in my occasional travels. It’s interesting how chocolate and spices have effected the trajectory of world politics and culture blending. 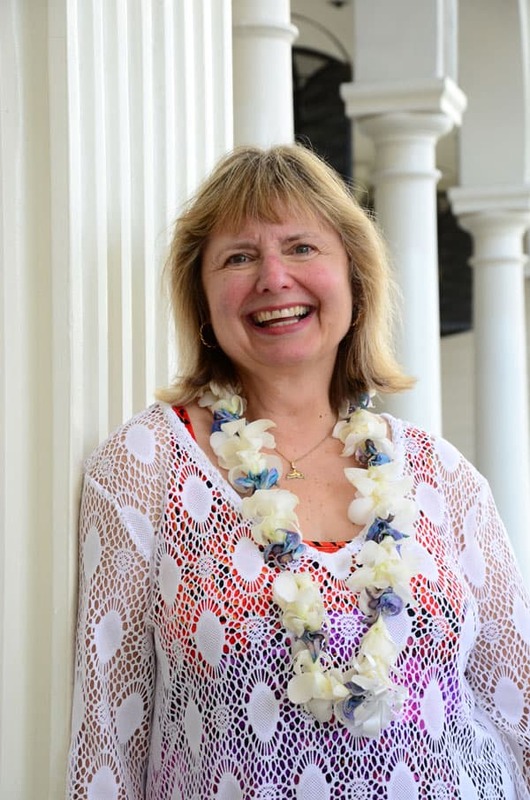 Linda Paul recently posted…Romance: Enter stage left – Philip! Hi Linda. There are definitely an increasing number of chocolate museums and attractions around the world. It is my job to find, and hopefully experience them all! Thx for stopping by. How many of the other branches of the museum have you visited? Are they unique or do the displays overlap a lot? Hi TammyJo: I have been to the Choco-Story Museum in Brussels. It used to be owned by someone else, but Eddy Van Belle and his family took it over a number of years ago. 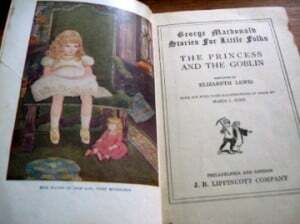 It is also an excellent museum, but each Choco-Story location focuses most specifically on the story on chocolate and it s connection to that specific country or city. That is why the museum at Uxmal focuses on the Mayan connection to cacao. I love all museums…adding food to the venue is a super treat. Once, the Phipps Conservatory in Pittsburgh had a chocolate and pink flamingo combo going on. Way fun. I would like the Choco-history combination a lot. I’m sure you’d enjoy a visit to Choco-Story in Uxmal, Rose. Have you been to the Yucatan region? I’ve really enjoyed exploring it, from the gorgeous beaches on the Gulf of Mexico, to the fantastic Mayan ruins scattered throughout the state, in addition to learning about the Mestisos, which are a blended race of 50% Spanish heritage with 50% Mayan. This one sounds particularly interesting, with having the Mayan history as part of the experience. And I was surprised by all the chocolate makers too- didn’t realize they existed!. Gorgeous photographs as always. Thanks, Kathy. 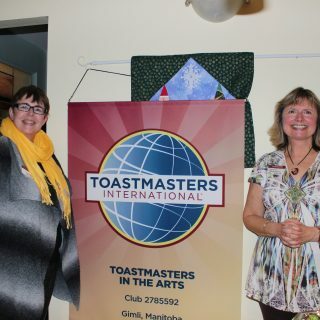 I really do believe that photos are an important accompaniment to any words we are using to tell the story. 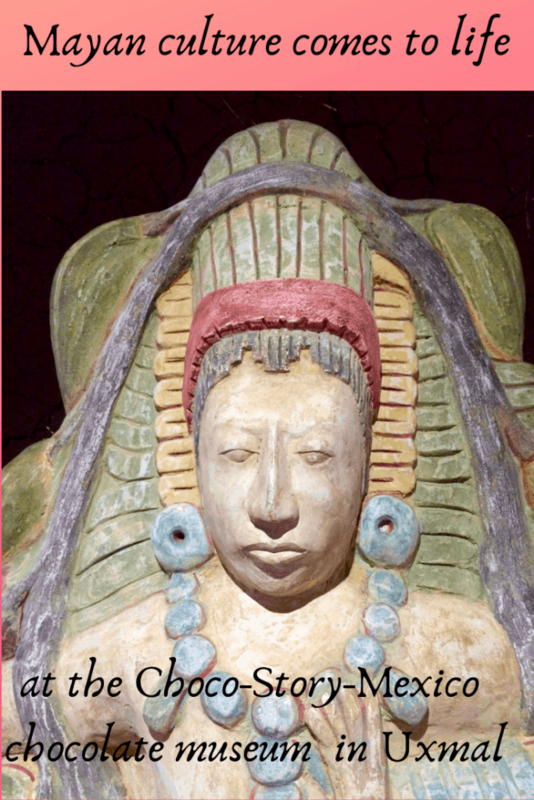 As an artist, I am sure you would enjoy the artistic exhibits at Choco-Story in Uxmal. Hi Doreen, I never knew that chocolate museums existed. I love museums and will make a point of checking the types of museums when visiting — anywhere! I also love how you mention the sacred ceremonies related to chocolate. There is sacredness in everything and it is especially nice to see it being acknowledged more and more. I’m seeing this not just with you, but everywhere! Awesome! Namaste! Wonderful to hear from you, Esther. I hope you are doing well. 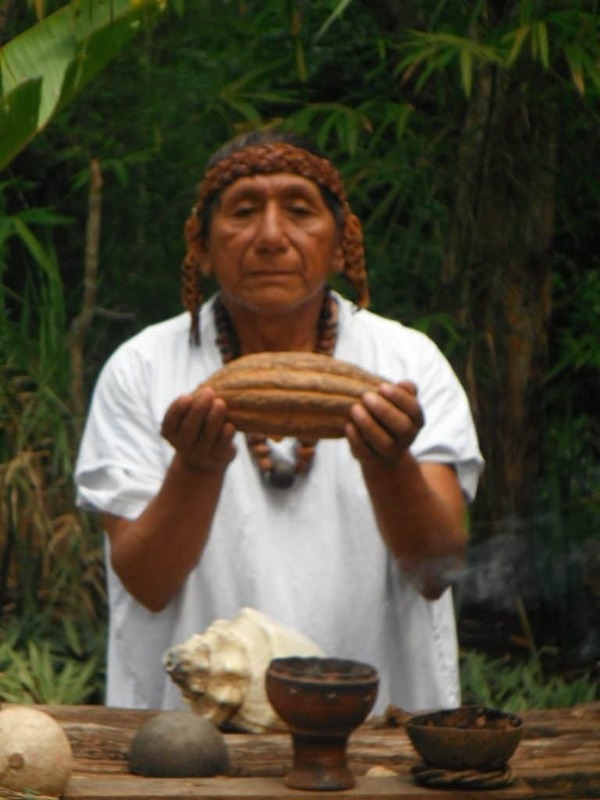 Yes, there are actually places in the world where people can participate in a mystical or sacred cacao ceremony. I know they have that in Costa Rica and some people have found it to have a profound effect on them. Namaste to you as well. The choco-story museum sounds fun. What could be better than a museum dedicated to the history of chocolate? I would imagine that the gift shop does really well. I’m usually not interested in museum gift shops. But after learning all about chocolate, you’ll definitely be craving it on the way out. Erica recently posted…Restful Sleep in Just 10 Minutes! Hi Erica: I’ve actually found many museum gift shops to be excellent. They have such quality, creative, and unique items for sale. I think the rule is, if you’ve enjoyed the museum’s exhibits, you are most likely to find some really cool stuff in their gift shop. The Mayan art pictured in your blog is fascinating. 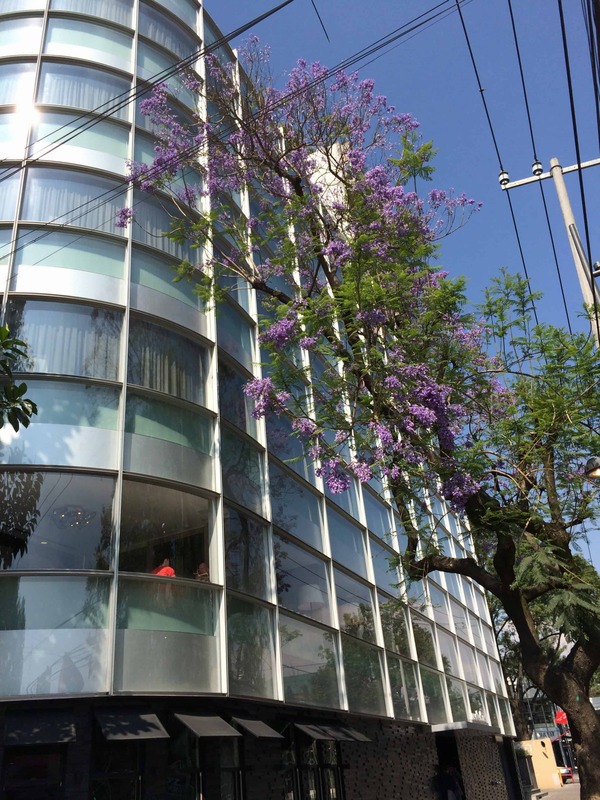 I would love to visit this museum and learn some of the chocolate history contained within its walls The gift shop looks unique and I am sure many interesting gifts can be found there. Must of been fascinating to see how the cocoa was transformed over time. Being a sacred food for the Mayan culture, to having the Europeans turn it into a treat. Thx for your comment, William. Yes, the world of chocolate and cacao has truly captivated me, as it goes far beyond the world of chocolate candy. The museum looks to be really fascinating. I like that fact that it goes beyond simply the history of chocolate making and puts it into the context of the larger history and culture of the Mayans. Would love to visit someday. 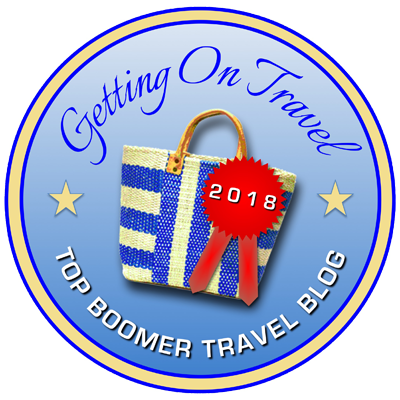 It truly isn a gem, Ken, and what’s really cool is that Choco-Story is just steps from the historic Mayan site of Uxmal, so you can really get immersed into the Mayan culture from this trip. The museum is fascinating, proves that there is so much that you can do with chocolate! I am also intrigued by the Mayan ceremony. This sounds like a fascinating way to learn more about chocolate. Re-enactments are always my favorite way to envision history. So true, Tracie. Facilities and attractions that have some form of re-enactment really do bring the story to life. Thx for stopping by. I love learning about chocolate and travel through your stories. Always look forward to them! I’ve never been to a Choco-story museum. But I love the focus on the Mayan culture AND chocolate at this museum. So fascinating! Absolutely, Christina! I’ve not yet been to a chocolate museum that didn’t entice and educate me on a number of levels. Always worthwhile for the chocolate lover! Hi Doreen, we’ll I’ve got to agree with the Mayans. Great chocolate is sacred and magical in my book. 🙂 interesting how the Europeans had their hand in making chocolate what we know and love today. Absolutely, Susan! The Europeans (particularly the Spanish) took the cocoa beans and made them into what we know as modern day chocolate. Then each country modified the recipe and process to match the taste buds of their populace. But it was the Mayans and the Aztecs who first cultivated cacao and enjoyed its mystical and magical powers. Thx for stopping by! Incredible! I think that this is a museum that even my kids would love! Hi Kevin. Yes, I think that older kids would really love the Choco-Story site at Uxmal. It’s not for tiny tots, as there aren’t a lot of things for small children to my recollection, but there are animals, the Mayan ceremony which is filled with mystique (but should be enjoyed in silence), quality chocolate samples, and lots of info about chocolate including some hands-on classes. What an awesome little gem, love visiting museums like this. So much chocolate, so little time. Hi Cai: To my knowledge, there is no chocolate museum in the Philippines. If anyone knows of one, please let us know! But there is some good artisan chocolate being made and some great cacao being grown in the Philippines now, so I bet it won’t be too long before there is one. Thx for stopping by.